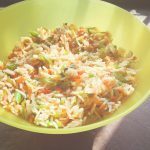 You are here: Home / Snacks & Appetizers / How to make Chinese Veg Fried Rice? Chinese Veg Fried Rice is a delicious veg appetizer. Accompany it with chili paneer or manchurian and you are sorted! Chinese food is one of the most famous cuisines around the world. And fried rice is one of the most popular Chinese rice dishes. It is made using rice, veggies like capsicum, french beans, carrot etc, some sauces, salt and pepper. It’s a delicious rice dish. You can eat it as a snack. Or you can accompany it with a gravy dish like chili paneer or manchurian and you have a complete meal. Veg fried rice is also apt for kids lunch boxes. The good thing is it gets ready quickly so you can prepare this for your kids tiffin. Have a party at home? Today’s chinese veg fried rice recipe is an easy fried rice recipe. You can serve these along with chili paneer or veg manchurian for dinner. This recipe is a simple one and make suse of easily available ingredients. We will add finely chopped capsicum, carrot and french beans in our chinese veg fried rice recipe. Other veggies that you can add (if you want) include sweet corn, mushrooms, peas etc. The cooking process is very simple. We will take a deep bottomed pan and will heat some oil. Keep the flame low. Then we will add some chopped garlic and green chilies. I have kept the spice level as minimum in this recipe. If you want, you can increase the amount of green chilies. Saute for a few seconds and add capsicum, french beans and carrot. We will saute these veggies on a high flame for 2-4 minutes. Next step is to add soya sauce, green chili sauce, salt and pepper. Mix nicely. Now add the boiled rice and ajinomoto. Mix carefully and cook this, on a low flame , for 2-3 minutes. Stir occassionaly. Chinese veg fried rice are ready to be served. This is a quick and simple fried rice recipe. I am sure you would definitely like this. Do try this recipe. 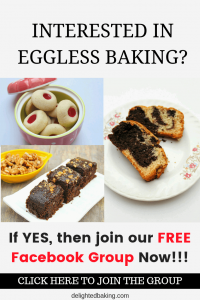 If you have any questions regarding this recipe, then feel free to ask them in the comments below. Take a wok or a deep pan. Add 1/2 tablespoon oil. Heat it. On a low flame, add garlic and green chili. Saute. And cook for a few seconds. Now add capsicum, french beans and carrot. Saute and cook, on a low flame, for 4-5 minutes. Stir occasionally. Now add soya sauce, green chili sauce, salt and pepper. Mix well. Add boiled rice and ajinomoto. Mix nicely. Add boiled rice and ajinomoto. Mix nicely. Cook for 1-2 minutes. Yummy Chinese Veg Fried Rice is ready!